Currently viewing the category: "Taxes and Spending"
Cheer up! We still have TV commercials. Should you be in a desperate mood for happier faces during this torturous day of Trump Americana, I recommend paying close attention to the characters in the TV commercials. Whether they are promoting catheters or paper towels, everybody is laughing, dancing or otherwise expressing their delight at solving life’s problems. There’s one senior couple that keeps strolling, hand in hand, with the look of utter contentment as they explain how they sold their insurance to place their money in more useful pursuits. At least that’s what I think they did before I fumbled with the MUTE button. The Electronic Classroom of Tomorrow (ECOT), the beleaguered online charter school embroiled in a financial battle with the Ohio Department of Education apparently pulled out all of the stops for their 2017 graduation ceremony by bringing in Tucker Carlson from Fox News. 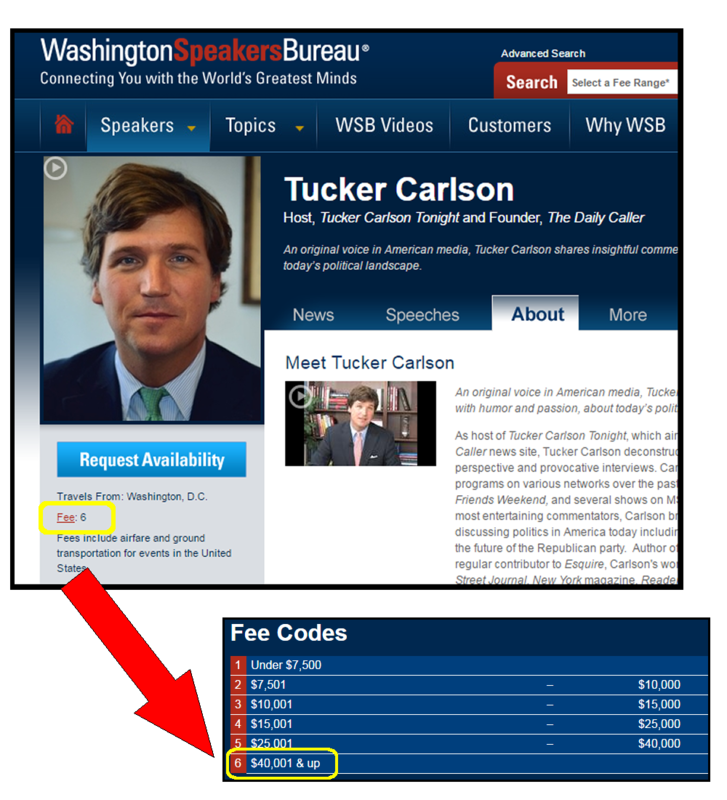 According to Carlson’s booking company, the Washington Speaker’s Bureau, Carlson can be hired for a speaking engagement for a fee of at least $40,001. In two weeks, Govenor Kasich will introduce his last state budget, and early indications suggest it will reduce services for people who need them the most to pay for tax cuts for people who need them least.